With so much information out there, I decided to look at what people should think about when looking for an English tutor. My first experience of language learning was at school and I didn’t have any choice there. German was my favourite subject and I took some additional lessons with a private tutor, but I didn’t have to hunt around for her as she came to one of our lessons each week in order to do speaking practice with us. As an adult, I decided to learn Hindi. Finding a Hindi teacher was no easy task, but a local university was able to help and provide a recommendation. Later I decided that I wanted to have private Turkish lessons. It was not easy to find a Turkish tutor either. There were a number of adverts on language teacher websites. I wrote a short introduction, explaining that I was a beginner who wanted to learn Turkish online, but most of the teachers didn’t reply. Not good practice in my opinion. Even if you’re so busy that you can’t take on any more students, you should at least be polite enough to reply. I scrolled further and further down the Google results until finally I came across a private website belonging to the teacher with whom I worked for around 3 years. She was an excellent teacher and we became friends. I was glad that I persisted with that search. The fact that Nurcan had her own website gave her credibility in my eyes. I could see that she had taken the time to explain what she offered. There were testimonials from happy students and the amount of information was well-structured and more detailed than the information that you might find on an online advert. Finding an English tutor shouldn’t be as difficult because there are so many people offering to teach you English – but what should you look out for? Some of my learners have come directly through my website, which they’ve found through searches. Others have come through online adverts. Others have found my Facebook and Twitter profiles and got to know me and my services that way. Others have come via business networks. Others have come via word of mouth. If you trust the person who is giving the recommendation, word of mouth is very useful because the other person has direct experience of working with the tutor. If you’re looking at Facebook pages or websites, find out exactly what the person is offering and consider how that fits with what you are looking for. If you decide what you are looking for before you start your search, it will be easier to see how and whether the various tutors meet these needs. People who offer to teach everything to everybody are often not in as good a position as those who are clear about their target audience and specialities. Do you want someone who has experience of teaching exam preparation? Do you want someone who speaks your language? 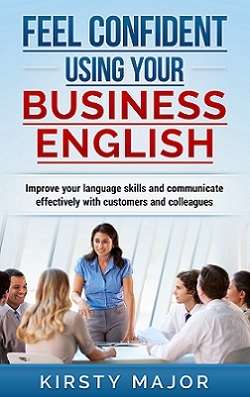 Do you need English for business/an upcoming holiday/a school exam? Before starting to work with anyone, it’s useful if the tutor offers a meeting where they can meet with you, either face-to-face or online, so that you can see how they work and discuss your requirements. You may find it useful to arrange initial meetings with a number of tutors so that you can decide whose teaching style or whose personality fits with what you are looking for. The price will undoubtedly play a role in your decision, but try to look at the whole package as well. What are the terms and conditions? What is provided? (Maybe there are worksheets, exercises, detailed notes after the lesson). Are you looking for one-to-one or group training? One-to-one training means that you can work at your own pace, you have the teacher’s undivided attention and you can focus on the things that are important to you. Working in a group is often cheaper and it is less intense because all members of the group should have the opportunity to contribute. You may like the feeling of having other learners around you but this also means that you have to work at the group’s pace. Do you want to learn on your own? Some people choose not to work with a teacher. They get a book or join a language group on Facebook and learn on their own. This can work well if you are motivated, but it is sometimes hard to commit to a certain amount of work every week in the same way that you would if you had to hand in homework. Also, if you are working on your own, there is nobody to give you feedback on your progress or to answer your questions. Do you want monolingual or bilingual lessons? Do you want a teacher who also speaks your language? I believe this is definitely advantageous if you are a complete beginner. Some tutors avoid bilingual lessons, which means that everything is in the target language from the beginning. Others believe in the benefits of using both languages in the lessons. I use both English and German in my lessons when appropriate because I think it’s really useful when talking about vocabulary or grammar points, but you need to decide what is right for you. Online lessons are becoming increasingly popular now and customers are able to benefit from the flexibility that they bring. You don’t have to travel somewhere. You can take part in the lessons from the comfort of your own home or any other quiet place where you have an internet connection. Video and teleconferences are becoming more common in many workplaces, so it feels natural for many people to learn in this way too. I only teach online. However, some people only want to have face-to-face tuition and this may play an important role in their choice of teacher. Particularly in terms of after-school help and informal training, it’s good to check that the person can actually deliver on what they’re offering. Ouch! Three mistakes in the title that were then repeated in the first line of the advert. Personally I would want the bar to be a bit higher if I were going to pay someone for lessons in another language. Therefore it’s really good to see what exactly people are offering, whether they have the knowledge and experience to support their claims and whether they have any customer feedback to show what customers have to say about the services they offer. I hope these few thoughts have given you something to think about when choosing a language teacher. There is so much more I could say about this but the article is already long. If you have any tips, comments or thoughts, I’d be interested to read them.